ICEP musicians are selected each year by an audition during the summer months. The first half of the cycle takes place in December and the second half in japan the following May or June. This year, our December destination is Vietnam and last year was India. “It has been one year already since our first meeting as the ICEP Quartet – so many nice memories and impressions, from day one at the Wassermeyer’s, our lovely hosts in Köln , to the last day in Japan. Travelling to India and Japan, two completely different worlds, and witnessing extreme poverty and social inequalities amongst other things has definitely strengthened my awareness and conviction that we, as musicians, have the greatest privilege of being able to do what we love the most; and with this privilege the duty of giving to the people who need it most. “It was already one year ago, yet seems like only yesterday that we were traveling through India, experiencing all the possible range of emotions and really living every moment in this land of colors. This is how powerful this ICEP experience was for me. There are many souvenirs I kept in my heart from this particular trip. The most important however – is the interaction with people and sharing the music. “The ICEP tour in India and Japan last season was an incredibly intense experience. It is extraordinary to be able to share each day so much music, being at the contact of a new public. This experience left me exhausted, but animated with the urge to keep getting close to the people and personally share with them the beauty and magic of music. Since after the Japan tour, I started playing in the Sinfonieorchester Basel as principal viola which is an exciting position in a wonderful orchestra. I am also very much looking forward to start from January my new education project with the government supported program “création en cours” during which I will be working during the 6 months with a 4th grader class on Janacek’s opera “the Cunning Little Vixen”, to initiate them to classical music, and then create with them a new version of the work. The ICEP tours are unbelievable experiences, but also challenging. To the new participants, I would recommend first to somehow take a step back when needed and always keep your heart open. The tours are physically tiring, but also emotionally draining. 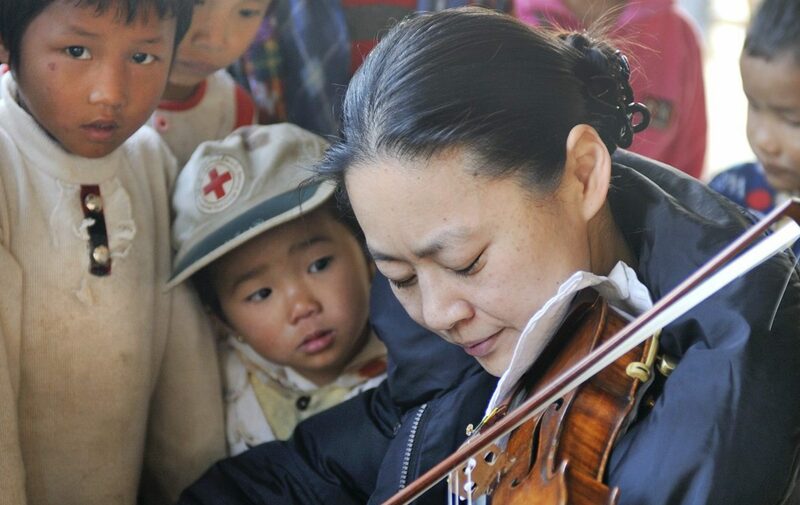 Giving and sharing the music is beautiful, but you will witness people in difficult situations, poor, socially excluded and/or extremely ill. It will reach you and maybe even make you vulnerable. Being two and three weeks long on tour the whole time together with no other companions than your quartet members, can also not be easy. It is important to acknowledge and accept your differences, and to always support each other, even though you will most likely not agree on everything!